Some commentators also said that Muhammad Ali liked to taunt his opponents so that they would lose their cool and attack him in the match recklessly. That may be true, but I don't know. What I do know is that Muhammad Ali was a cool entertainer, one that could rhyme and talk, and he was a great self-promoter. For decades, everyone sported their trainers as a sort of flag: Adidas on the southern bank of the Aurach river that divides the town, and Puma to the north. It got to the point where some people would see what shoes the other person was wearing before deciding to greet them. If the other guy was wearing the wrong pair of shoes, too bad. No hello. To make things worse, an 85-year-old pensioner, Mr Georg Hetzler, was quoted saying, "No one understood why they fell out." The Adidas vs Puma rivalry sprung from sibling rivalry. Fans identified fiercely with their brands of choice. It was either one or the other. But everybody in that town knew that the founders of Puma and Adidas had been brothers. The two brothers worked in the family business of producing sports shoes. In 1948, a rift between the brothers caused them to fall apart. 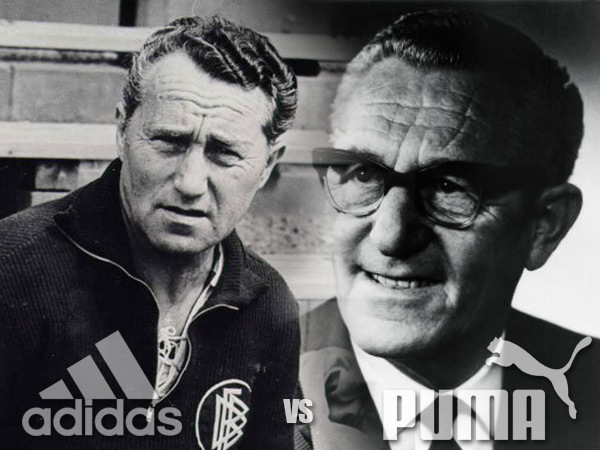 The elder brother, Rudolf Dassler (1898-1974), packed up and formed a new company across town, called Puma. The younger brother, Adolf Dassler (1900-1978) remained in the family business and formed Adidas. There were numerous rivalries between the two brands throughout the years, with a "bitter family feud littered with betrayals and low blows." But nobody can deny that it has been an interesting story for spectators who will recount this story and help the Adidas and Puma brands live on. In the world of smartphones, the patent battles between Apple and Samsung over the past few years, commenced in numerous countries, had attracted numerous comments from industry observers. The large damages awarded by the courts for infringement of design patents, for example, helped make these companies a part of legal history. The inconsistent rulings from different courts in different countries, some favouring Apple, and others favouring Samsung, also led to speculation on the outcome. It cannot be denied that courtroom litigation is also very costly. A brand can go further by using stories of rivalry, as in the example of Apple vs Microsoft. In a famous anecdote, Steve Jobs had furiously accused Bill Gates of stealing Apple's operating system design in coming up with Microsoft Windows (which was also based on GUI - graphical user interface). "You're stealing from us!" Bill Gates replied, "I think it's more like we both had this rich neighbour named Xerox and I broke into his house to steal the TV set and found out that you had already stolen it." Xerox, as some observers noted, invented, or was involved in the invention of, the first GUI operating system, the first cellphone, the first touchscreen, the PC, the ethernet, the laser printer, the photocopier, and God knows what else. Most of it was uncommercialized because the board thought that there was "no practical application" for the technology involved. Too bad, they did not have Clayton M Christensen to teach them about the S-curve. Instead of using court cases to drive home the rivalry between your brand and your competitors, it may be better, instead, to use stories to inspire the end users. Like Puma and Adidas, it may become a convenient way to identify with a certain tribe. As Seth Godin once said, we seek to belong to tribes. Brands are convenient ways of doing that. 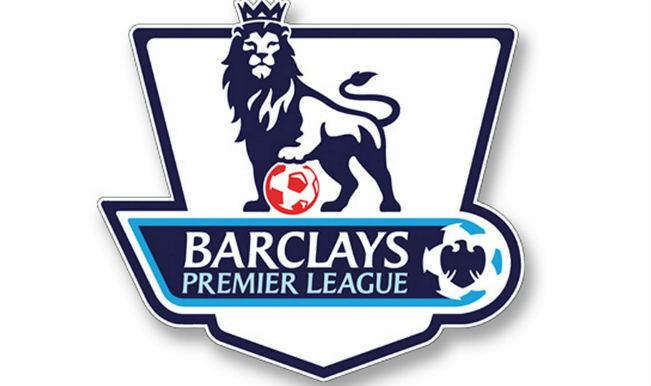 Football clubs benefit from the general public's support of their star players. A whole ecosystem has been built on football clubs: Tabloids, websites, merchandise, appearances. When Argentinian footballer Lionel Messi decided to resign from international football, there was an unprecedented outcry among Argentinians and other football fans around the world. Even Maradona, the famous footballer, tried to get him to change his mind. This is a curious thing, but it is true: The club is the vehicle for the footballer, and when the footballer becomes a star, he is the vehicle for the club. Apple ran this advertisement in 1981, to welcome IBM to the personal computer industry. Even though it was a little tongue in cheek, it got them the anecdote that they wanted over the years. People will keep mentioning it as a "cheeky advert" in the years to come. Stories can help to sell brands when people identify and engage with it. Steve Jobs knew the power of stories, and positioned himself so that what he did would become stories that people would repeat. 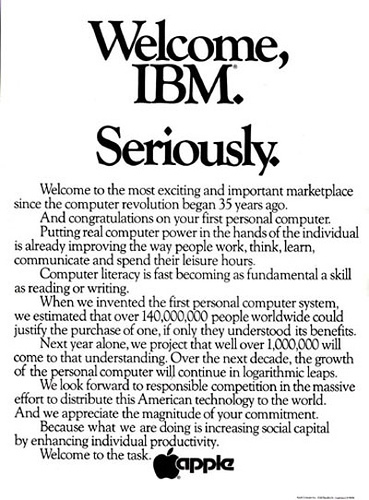 When IBM introduced the personal computer, Apple ran an advertisement that said, "Welcome, IBM. Seriously." Similarly, the founders of Ben and Jerry's Ice Cream also positioned themselves as small timers railing against the unfairness of big conglomerates. Their ice cream was a convenient avenue to support "the little guy". Note: I'm sorry that this piece doesn't deal with law per se. But brands do count as part of intellectual property, and I thought that this might be an interesting piece to write. I might return to this in the future and rewrite it. Thanks for reading.